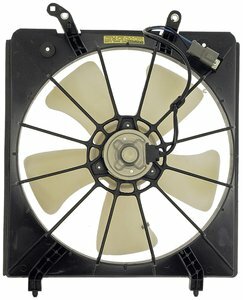 Save time, money and labor with Dorman Engine Cooling Fan Assembly. It comes ready to install with the motor, shroud, and blade. Plus, the high fiberglass content offers extra strength and rigidity while improving thermal stability.